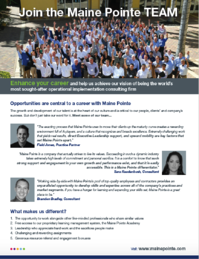 The growth and development of our talent is at the heart of our culture and is critical to the success of our people, clients and company. 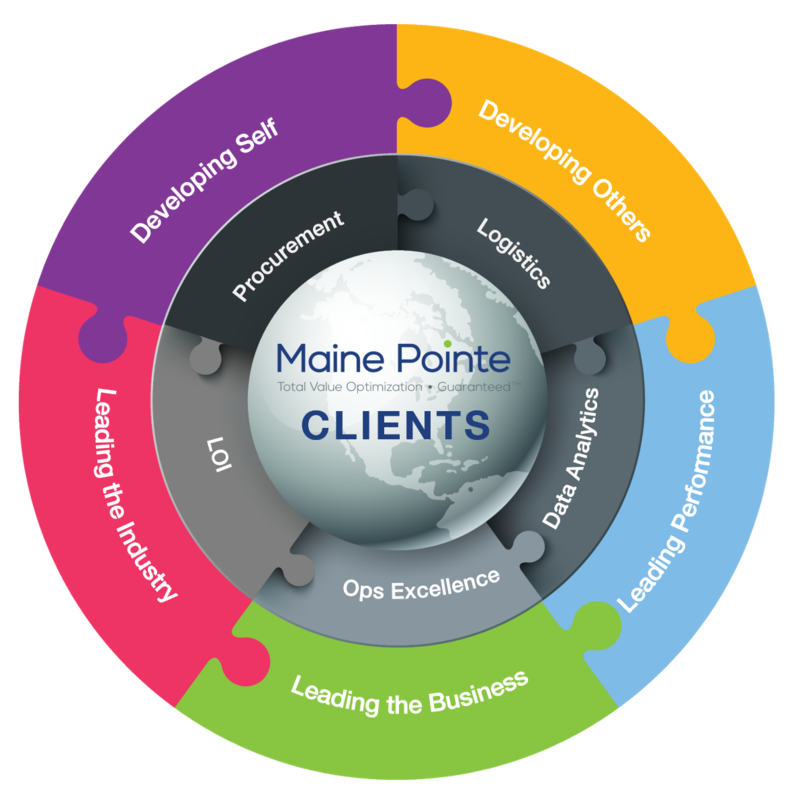 To underline our commitment to helping others achieve their personal and professional goals, we established the Maine Pointe Academy. The primary purpose of the Academy is to meet our commitment to our core value of personal growth. We have also developed the Academy as a business consultation service made available to our independent contractors as a resource for their personal success and professional development. By making learning an everyday occurrence and encouraging every team member to manage their own professional and personal development, we can continue to innovate and set the benchmark for implementation focused consulting standards.